It's been a while since I've added anything to the Michael White line, but there is a new story on the way. 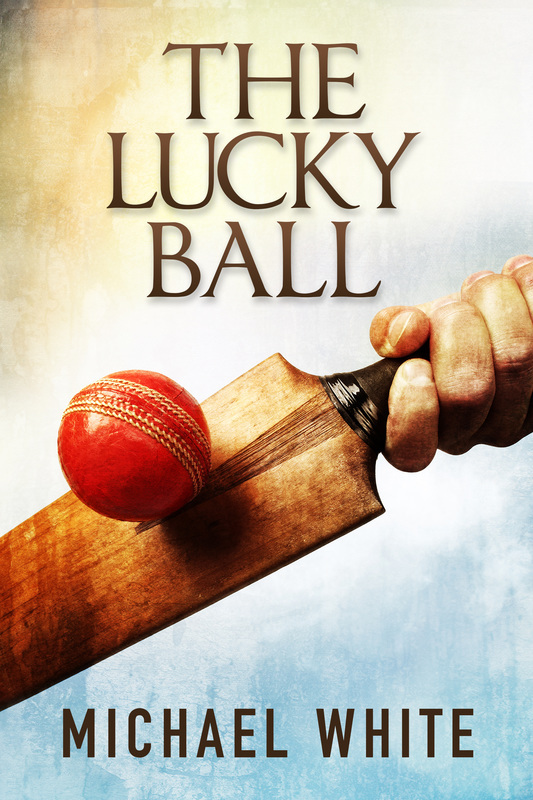 The Lucky Ball is a 12,000 word short story that follows the story of young Andy, who finds an old ball in a ditch. The ball has been signed by someone rather famous, and it begins to affect the way Andy plays, in more ways than one. The Lucky Ball will be available FREE to Mailing List subscribers only. For those of you wondering how you can sign up to get the story, you'll have to hang on a couple of days, because Michael White doesn't actually have a mailing list yet! I'm working on it. Watch this space. In the meantime, here's the cover, done by the incomparable Elizabeth Mackey at www.elizabethmackeygraphics.com. Those of you who know me know that I'm a massive cricket fan, and despite playing for the old enemy, I've always been a great fan of Phil Hughes, who sadly passed away yesterday after been struck by a bouncer in a Sheffield Shield game on Tuesday. Phil had already done some great things on the field for Australia and there was no doubt in my mind that he would have gone on to be hugely successful in the future. To pass away at just 25 is a terrible tragedy, and the game has lost a terrific player this week. Just this morning I uploaded a cover and approved the audiobook files for Tales from the Village Green Vol 1. Read by the masterful Phillip J Mather, I&apos;m delighted by how the stories sound. The audiobook should be live in a few days. Michael White is my cricket story-writing pen name. Cricket is my second love after writing and it's a labour of love to me to write simple stories of village green cricket in my free time between other major projects. They don't many, but it is a definite niche market which I have cornered, because there really aren't many other cricket-based fiction stories out there. Ideally, I'm hoping to write at least five stories/one omnibus per year, with a novel to follow at some point. So far, six short stories have been published, including one omnibus, which is currently in the process of being made into an audiobook. All my cricket stories can be viewed here. Michael White is a pen name of Chris Ward, and specialises in writing stories and novels about the sport of cricket.